Combat energy saving fans available from Hurll Nu-Way Pty Ltd come with control options to improve comfort, protect the environment and save money. Combat fans are designed as an efficient and inexpensive solution to improve heating system efficiency by keeping warm air down at working level, and reducing heat loss through the roof structure. By moving warm air down from a higher level and returning it to the occupied zone, the energy-efficient fans are able to maintain a comfortable environment. 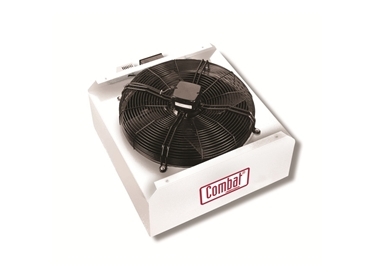 Combat fans can also be used to cool products in process lines.